Fall and winter seasons (which happen in October through December) in Napa Valley mean cooler, gentler weather. Both of these seasons unfold the otherworldly beauty of the Napa Valley in their own different and wonderful way. Fall and winter may be the best time for a lot of Napa Valley things to do, such as visiting the vineyards and wineries, wine tasting, and riding a hot air balloon. Fall season in Napa draws nearly as many crowds as the summertime or spring. And why not? This is when the grapes are coming to their full maturity and ripeness, ready to be harvested and made into wines that you love. And you know how much you love the natural colors of autumn, and Napa Valley during the fall may be the loveliest. While the temperature is less than the harsh summer heat, the sun still shines full and bright during this season, which tourists also love. “Cabernet Season” is what many people refer to the fall season in the Napa Valley. When the temperature is milder, it is the ideal to enjoy heartier food plus the famed Cabernet Sauvignon as a perfect partner. There are also a lot of fall festivals — food, film, music, art, business expos and Oktoberfest. The winter season, on the other hand, is the quietest time for Napa Valley. As barren as the dormant vineyards, the tourism there may be almost the same too. However, for those who are looking for budget travels, wintertime in the Wine Country may be the best time to go. There are still a lot of things to do in Napa during the winter and besides, this season unfolds the spectacular changes in the landscape which can’t be found in other seasons. Wintertime in Napa Valley means a lull in tourism, but will also be the best time for budget travelers. Hotels are slashing prices to attract more customers, and you shouldn’t miss all those tempting discounts while avoiding the rush of the summer. You will enjoy holiday-themed events such as the upcoming Reindeer Run, ride on the Santa Train, and go on the ice rink, as well as Christmas and New Year’s Eve parties. Who doesn’t want to have a snug time with a loved one by the fireplace and savor fine wine? 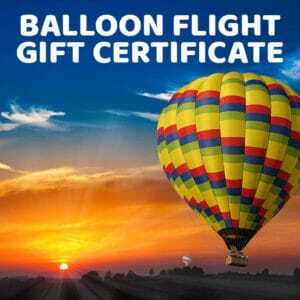 Fall and winter seasons are also good times to enjoy hot air ballooning. The cooler temperatures are ideal for hot air balloons, which favor the chill in the air. Balloons Above the Valley (BATV) will help you see the beauty of the Napa during the fall and winter seasons. Watch the foliage and the whole landscape dramatically change from green in the summer to golden in the fall, then from golden in the fall to bright green and yellow in the winter. You will appreciate it morewhen you’re riding a hot air balloon up in the air! You have never seen such beauty in the Napa Valley before, and will never see it again, when you’re on the ground! The feeling is indescribable! Balloons Above the Valley offers a variety of great sunrise hot air balloon rides, wine tours, and then some (such as pre-flight breakfasts, post-flight brunches, shopping, and a lot more!). Our experienced flight crew and staff will make you feel at ease. Check out more of our amazing travel packages for you: http://balloonrides.wpengine.com/tour-options-pricing-reservations/. There are still a lot of wonderful Napa Valley things to do during the fall and winter. Remember to include Balloons Above the Valley for a more memorable getaway!